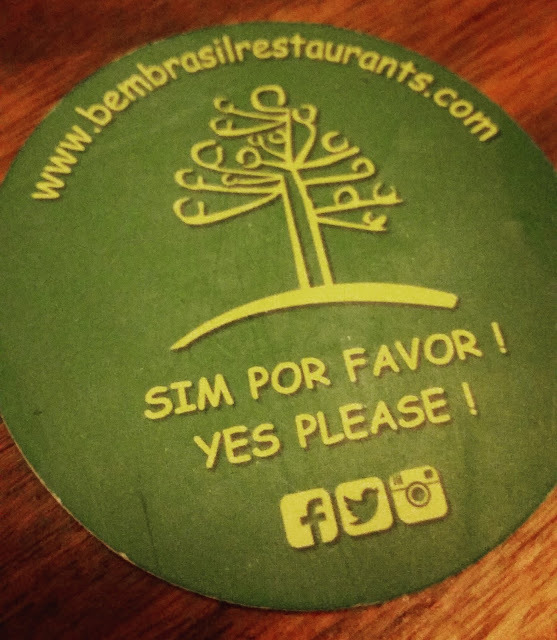 If you don't know Bem Brasil, or any similar kind of restaurants, it is an all-you-can-eat place that specialises in meat on swords. That's right. They bring meat to your table, on a sword-esque piece of metal, and carve it off for you. If you don't like how it's cooked (if it's too pink), they go back into their kitchen of wonders and cook it for a little bit longer before bringing it back out for you. They give you a little card with a green and a red side to place on your table. Green is for 'Go 'ed, bring on the meat sweats' and Red is for 'Jesus tonight, stop or I'll explode'. It is glorious. When I saw they were hosting an event in exchange for pretty much nothing, I was sceptical. What was the catch? Was it just your standard egg mayo sandwich, bucks fizz, and mingling? I made sure my cuter half (Dave) left work on time and met me beforehand, so I had an escape just in case. When we arrived, we were met by Stephanie from Ledigo PR, who showed us to a table and made sure we had a glass of champagne. So far, so good. She explained that it was the fifth year of Bem Brasil, and to celebrate, we were being treated to free sangria, champagne, and beer all night, and a full sit-down meal - complete with meat swords (hah - phrasing.) A couple of ladies I met at the Liverpool Blogger Event, Codie and Jenny, arrived shortly after we did. 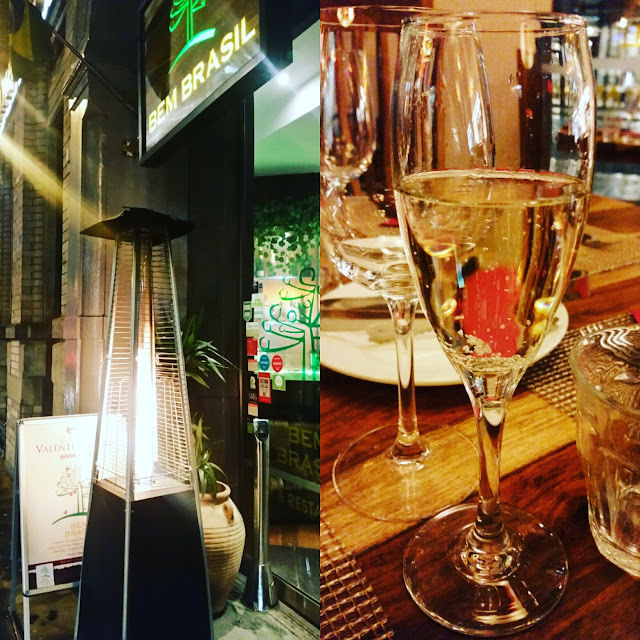 I've been to Viva Brazil before, so I knew what to expect, and Bem Brasil certainly did not disappoint. The food was divine, and the sangria went down a treat! There was a lady there painting people's faces with glitter, but I missed my chance because I was stuffing my face with their famous grilled pineapple and cinnamon! 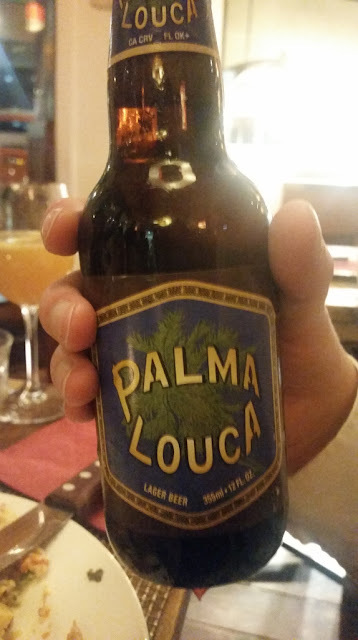 The beer on offer was a brand I'd never heard of before, Palma Louca. I'm not a big beer drinker, so it's no surprise I'd not heard of them before really. All beer tastes the same to me, but Dave assures me it tastes fab and is 'very sessionable'. Whatever that means. Jake Quickenden and Kyle from Geordie Shore were there too, but I'll be honest, I only had eyes for sangria and pineapple. 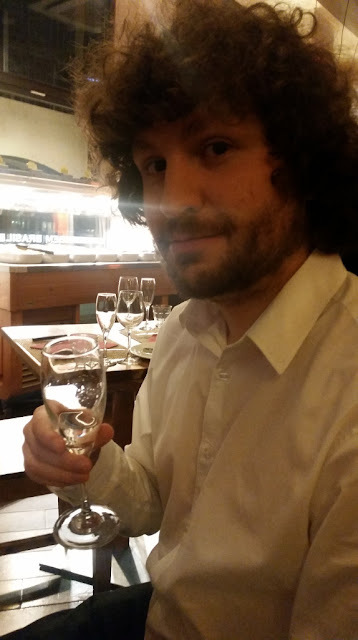 It was a great night, with great company! They really pulled out the stops with their hospitality, and I would go back in a heartbeat. Thanks for the invite Bem Brasil!